Venture out of the city with trips to Fredericksburg (National Museum of the Pacific War, Wine Tours & Tastings, & more), Barn Pottery (in New Braunfels) and San Antonio (Natural Bridge Caverns, SeaWorld San Antonio, & more). 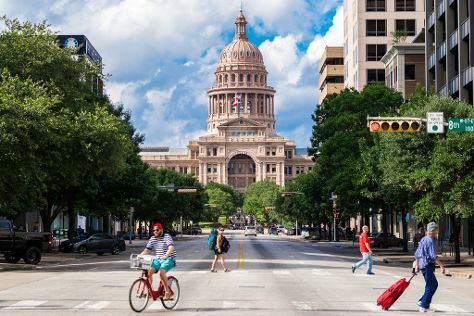 There's lots more to do: get a sense of history and politics at Texas State Capitol, contemplate the long history of The Driskill, identify plant and animal life at Lady Bird Johnson Wildflower Center, and test your problem-solving skills at The Escape Game Austin. To see other places to visit, reviews, maps, and more tourist information, use the Austin trip planner . May in Austin sees daily highs of 85°F and lows of 65°F at night. Wrap up your sightseeing on the 31st (Fri) early enough to travel back home.